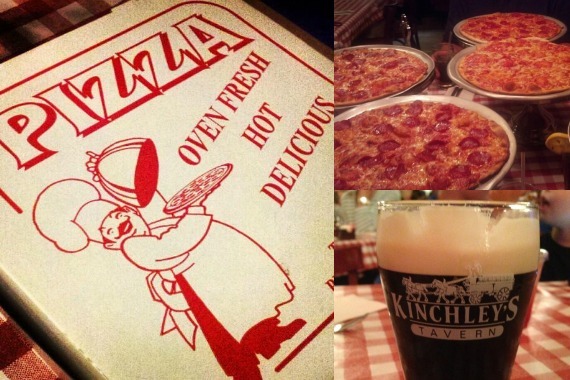 Kinchley's Tavern located in Ramsey NJ offers Italian food & pizza in a casual, family setting. Come see why we were voted “Best Pizza in the Tri-State”. "Our red sauce is always boss." "Pizza and onion rings always play nice together." "A day without pizza is like ... Just kidding. We have no idea." "It's easy to eat your daily greens when they're on our pizza." Neighborhood feel, loved our pizza and beer. Many beer selections. Great service. Cash only! Only takes cash but definitely worth it. Best thin pizza! Yes, I'd like to receive news from Kinchley's Tavern. Sign up for the Kinchley's Tavern Newsletter!